Smarkets trade out explained – In this guide we’ll look at how bettors can lock in a profit or cut losses using the new trade out button from Smarkets. Back in the Summer of 2018, Smarkets launched a new ‘trade out’ feature to their popular betting exchange. This function is very similar to other cash out options offered by the likes of Betfair, Bet365 and William Hill. The Smarkets trade out button lets you cash out your winnings or cut your losses before a trade has settled. The new trade out button is available on all markets as long as there is sufficient volume. Read on to find out how you use the trade out button, plus find out our top tips for maximising your profit with this great feature. Betting companies are continuously looking for ways to improve the overall betting experience they offer their customers. Bookies are constantly coming up with new ideas and features that they hope will gain and keep new and old customers. Considering how competitive the marketplace is, this comes as no surprise. If a new feature proves incredibly popular with punters, the other betting companies are caught out. It’s a development race with a big reward for the winner. This forces bookies to react quickly to replicate a similar offering for their customers, or there’s a decent chance customers will leave. This is where Smarkets found themselves with the cash out feature 2018. I’m not having a go at Smarkets, they’re one of my favourite betting exchanges. This is not unusual for any company in such a competitive marketplace. You’ve probably seen the adverts on TV with betting companies promoting their cash out feature. Betfair were the first betting company to offer the cash out option and they got the jump on other companies. Smarkets were left behind in the dust. It took until the Summer of 2018 for Smarkets to introduce their cash out option, the trade out button. If you’re a regular bettor, you may have used other cash out features such as the one offered by Betfair. If you have, there’s not that much that is different, other than the layout. For those of you that haven’t used a cash out or trade out option before, this section is for you. In simple terms, a trade out option lets you place an opposite bet to the one you already have open. This is useful if you want to lock in a profit before an event has finished, like in the scenario below. Let’s say your team go 1-0 up at half time and you want to take the current profit without waiting for the game to end. Trade out makes this a doddle. It’s possible to do this manually but it’s far easier using a built in function such as the Smarkets trade out button. At this point in time, I’ll actually lose £0.08 if I trade out of my position. This is because the game hasn’t started. However, if the trade out value is greater than your original bet, you may want to lock in a profit. In this case, you’d hit trade bet. It’s important to note that Smarkets show a second confirmation before your trade out is complete. This accounts for any change in price that may have occurred. If the price does change, you can decline the trade out and take another offer. You’ll need to be mindful that prices are continually changing, especially in-play. So you’ll need to be quick to ensure you get the desired trade out price. There’s an eight second delay before an in-play trade out is accepted. This is to account for any suspension in play, if a goal, or penalty is scored etc. There are a number of benefits of using the Smarkets trade out option for matched betting. The first of which is that it’s now easier to recover your bets if you make a mistake. You’ll need to trade out your incorrect lay bet using the process above. You’ll lose a small amount, but as long as you’re quick to notice your mistake the odds shouldn’t have changed all that much. In this case you shouldn’t lose more than £1. 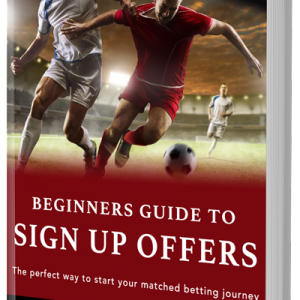 The second benefit of using the trade out option for matched betting is for offers like the Bet365 Early Payout or the Paddy Power 2 Up promo. In each of these offers, the bookie will pay out any winnings if your selected team go up by 2 goals. If this happens, your lay bet at the betting exchange will still be open and ideally you should close this position for a small profit rather than wait for the final whistle where you’d expect your lay bet to lose. If your selected team go on to lose, you’ll make an even greater profit as your lay bet will win. Overall, the Smarkets trade out feature is certainly worthwhile using in your betting strategy. You’ll be able to lock in guaranteed profits or cut your losses depending on your situation. Ultimately this should allow you to increase your overall betting profitability. All in all a great feature from Smarkets. Let me know what you think of the Smarkets trade out button by leaving a comment below right now.